A vehicle that’s easy to drive safely at the limit in competition is a vehicle that can be safely driven on the streets. High speeds and the duress of competition are the ultimate tests of quality. Competition is the proving ground of our technology. The basic formula hasn’t changed for decades. Low center of gravity and high traction—both made possible by the Subaru engineering constant—the horizontally-opposed SUBARU BOXER engine coupled with Symmetrical All-Wheel Drive. An STI vehicle is designed to be so intuitive and confidence-inspiring that it feels connected to the drivers’ nervous system. 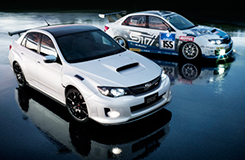 In competition and at the Nürburgring, STI vehicles are known for beating more powerful cars. Why? Because STI vehicles empower drivers. The seeds of STI were planted in 1972, when Subaru campaigned the Leone in the Australia’s Southern Cross Rally. After their first foray into competition, Subaru made history with the first AWD car entered in the World Rally Championship (WRC), when the Leone 4WD entered the Safari Rally in 1980. 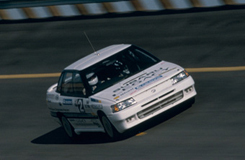 By 1988, with the competition reputation of AWD and turbo cars established, it was time for Subaru to stake its claim. STI was founded and they quickly made a powerful statement by breaking a world speed record. Led by Ryuichiro Kuze, the STI team smashed the a new 100,000-kilometerworld speed record(Effective as of the end of April, 2005), driving Legacyat a blistering average speed 138.780 mph (223.345 km/h) for 447 hours, 44minutes and 9.887 seconds, continuously. After a successful competition debut at the Safari Rally in 1990, STI founder/president Ryuichiro Kuze set his sights on the World Rally Championship (WRC). Although much was learned in their early efforts, victory would not come until the New Zealand Rally in 1993, where the STI Legacy won triumphantly. The following year, the STI team switched gears and started the long-lasting racing campaign of the Subaru Impreza WRC model. 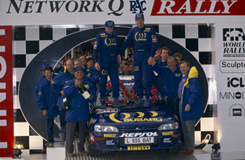 The success that followed was beyond anyone’s wildest dreams – 2nd overall in 1994, manufacturers’ titles 1995 and 1996, and a stunning 8 of 14 races won in 1997, capping a remarkable achievement – Subaru became the first Japanese company to win a manufacturers’ title for 3 consecutive years. This racing success would permanently elevate Subaru and STI to iconic status in the world of rally. 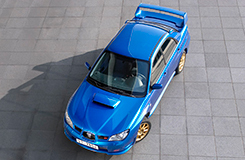 True to STI’s philosophy that racing and production vehicles go hand-in-hand, the WRX STI was released in 1994. Based on the Impreza WRX, the WRX STI brought rally-proven technology to the masses – the turbocharged SUBARU BOXER engine coupled with the Driver Controlled Centre Differential (DCCD) and Subaru Symmetrical All-Wheel Drive. Following the release of the first production WRX STI, STI dreamt bigger, planning a series of exotic models with even higher performance. 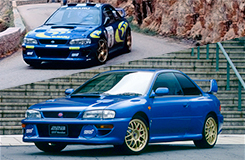 The first realization of this vision was the Impreza 22B STI, built in commemoration Subaru’s victory in three consecutive manufacturers’ titles in the 1995, 1996 and 1997 WRC rally seasons. All 400 examples of the 22B STI sold out within a few days, helping to establish STI as a performance brand. The S201 followed, then the S202, S203, S204, S205, and S206 – all limited edition, exclusive models with the highest level of performance and workmanship available. 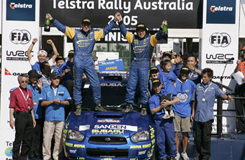 With 47 WRC wins and counting, STI led Subaru to more rally wins than any other Japanese manufacturer. This success, coupled with the heroics of drivers like Colin McRae (1995 drivers’ champion), Richard Burns (2001 champion), Peter Solberg (2003 champion), and Toshihiro Arai (2005, 2007 Group N champion) would solidify Subaru and STI among the most respected brands in the rally scene. The Impreza. A car with racing in its DNA. 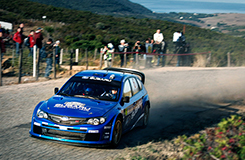 The Impreza may be one of the best examples of the influence of racing on production vehicle development. The design and engineering of this production model took direct cues from the WRC team. 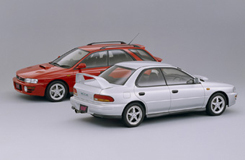 In true STI fashion, the Impreza production and racing models were developed congruently. It’s no surprise that production WRX STI vehicles are the much closer than their racing versions than, perhaps, models from any other manufacturer. Although 2008 would mark the end of WRC competition for Subaru and STI, it was the beginning of a new era of racing challenges. 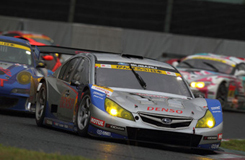 STI would begin its conquest of the tarmac in the Japanese SUPER GT series. In this competitive series, the STI ideals of driving confidence, and the trusted SUBARU BOXER engine would prove immediately effective, resulting in strong finishes for the Legacy racecar, and the following BRZ racecar, which would take 5 pole positions in the 2013 season. STI complete cars and performance parts rely on one basic goal, above all – to empower the driver with a more engaging, responsive experience. Often overlooked by other performance tuners, this performance philosophy enables STI vehicles to perform competitively against vastly more powerful vehicles in competition. And the benefits pay dividends everywhere. These same principles can make production cars safer and more enjoyable to drive, even in the harshest conditions. This can be felt by the “Enjoyment and Peace of Mind” built into every Subaru on the road. After more than a decade of WRC dominance, STI put their performance prowess to the ultimate test – The Nürburgring 24-Hour race in Germany. 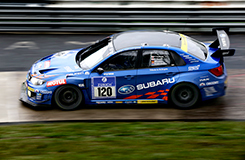 At a race where only the most resilient cars and drivers prevail, the STI Nürburgring Challenge racecar prevailed in 2011 and 2012, earning class victories. 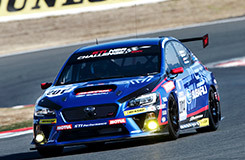 After a setback in the 2013 race where they finished third, the STI aims for success once again, with a new STI Nürburgring Challenge based on the 2015 WRX STI production car. 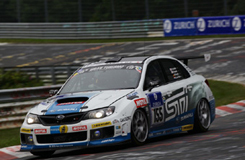 Competing with such authority against some of the most formidable racing teams and vehicles in the world, STI’s effort in Nürburgring 24-Hour race is a triumph for Subaru and their fans around the globe. More can be learned from racing than any computer simulation or laboratory test. A racing vehicle experiences more stresses, more speed, and more extreme conditions than a production car will encounter over multiple lifetimes. This is why motorsport is the basis for STI engineering inspiration – what wins races on the track can improve lives on the road. What helps racers drive more swiftly, can help you drive more safely. The Subaru engineering mantra, “Enjoyment and Peace of Mind,” is as important for racing as it is for driving the streets. Like real world driving accelerated, WRC was the perfect place for Subaru to begin cementing its motorsports legacy. The equivalent of driving around the world in one day, every rally event presents diverse challenges – mud, snow, gravel, pavement, and dirt – that play right into the strengths of the Subaru performance formula – Symmetrical All-Wheel Drive and the balanced SUBARU BOXER engine. With the rally course claimed and conquered, the tarmac was our next challenge. The 24 Hours Nürburgring was chosen. A grueling 24-hour team race, it would be a great test of STI engineering and philosophy. The tight and precarious Nürburgring Nordschleife circuit played right into the strengths of the STI racecar, a vehicle that could easily be driven safely and confidently over the 24-hour duration of the race. This is an event rewards consistency first, outright speed second. The STI race team won the SP3T class of the Nürburgring 24-Hour Race in 2011, 2012, and aims to return to the top of the podium in 2014, proving the effectiveness of infusing “Enjoyment and Peace of Mind” into the STI NBR Challenge race car, a quality that can be felt in every Subaru around the globe. The Nürburgring course is a beast. 25.378 km (15.769 mi) per lap. 300 m (1,000 feet) of elevation change. 170 precarious corners. It’s the ultimate test of both driver and machinery. It’s also the proving ground for SUBARU brand value-“Enjoyment and Peace of Mind”-for 20 years and counting. Learn more about the WRX STI NBR Challenge racing effort, and get links to other Subaru Motorsports news. 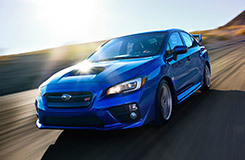 Explore the 2015 Subaru WRX STI. 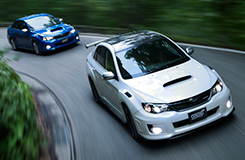 The best-handling, best-performing WRX STI. Ever. STI is the monastery of performance philosophy, a think tank of driving theory, a university of automotive principles. STI engineers tirelessly study, experiment, and test, in a never-ending quest to uncover the root fundamentals of performance. We ask ourselves constantly: How are performance and confidence connected? What makes a car go faster? What makes a vehicle more enjoyable to drive? We listen to racers and drivers. We use simulators, wind tunnels and tracks like the Nürburgring Nordschleife to put our engineering to the test. We drive in snow. We drive in mud. We drive in competition. All to create the ultimate automotive experience. STI Halo Models. Built entirely by hand and in-house. 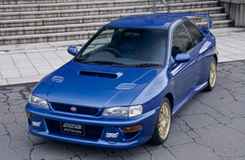 The Subaru Impreza 22B STI is one of the rarest and most sought-after Subaru vehicles. Only 424 of these vehicles were produced and it was designed to commemorate Subaru's 40th Anniversary as well as the third consecutive manufacturers' title for Subaru in the FIA World Rally Championship (WRC). The limited edition S206 was created to push the limits of performance while retaining the soul of the WRX STI it’s based on. With substantially improvements in feel, maneuverability and overall performance over the production WRX STI, the S206 is hand-built with top-grade STI components. Built to commemorate the STI team victory in the 2011 24 Hours Nürburgring race, the NBR CHALLENGE PACKAGE featured a carbon roof and carbon rear spoiler. 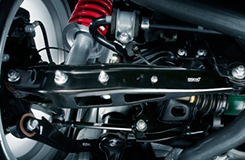 The STI Flexible Strut Tower Brace was developed in our search for optimum balance. Out on the road, cars are subjected to forces from every conceivable direction, all of which have a profound impact on the car's performance and interior comfort. 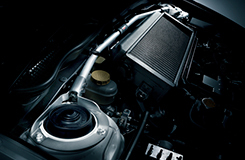 The STI Flexible Strut Tower Brace was designed with the aim of controlling these forces to maximize performance. The Tower Bar itself features a unique layout, divided into separate left and right sections and connected by link balls, which serves to suppress any lateral movement, while offering flexibility in the longitudinal direction. Settings have been tightened where needed, and loosened in other areas to achieve superb handling and straight-line performance, and at the same time outstanding ride comfort. The full potential of the original model has been extracted without affecting its balance. This is the ideal platform that STI believes is required for a sports car. With so many different types of aftermarket replacements available, choosing the right wheel upgrade for your Subaru can be a daunting task. 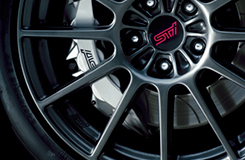 STI aluminum wheels assure a perfect fit. STI wheels are lightweight for a reduction in unsprung weight, while simultaneously durable enough for on-the-edge, spirited driving. 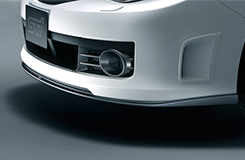 They also look great, and are designed from the ground up to complement your Subaru in every conceivable way. 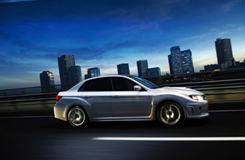 Drive easy, knowing that your perfectly matched wheels symbolize the extensive knowledge that we have of Subaru. The ideal suspension setup can only be designed by taking into account body rigidity, weight of tires and wheels, and characteristics of your particular vehicle. STI suspension kits are designed with your unique needs in mind. Rather than focusing merely on numbers for damper and spring rates, extensive test runs are conducted to determine the optimal suspension settings for each individual car. The driving characteristics of the base model are retained and performance increased throughout every aspect, all with the luxury that is a super smooth ride. Designed to give your vehicle maximum handling and stability at high speeds, STI aero parts are repeatedly tested in wind tunnels, and around the Nürburgring test circuit to find the optimum balance between Cd values (aerodynamic drag) and Cl values (aerodynamic lift). It is our goal to ensure that customer cars are fitted with aero parts that offer high performance, high reliability, and a sophisticated, streamlined sense of “Beautility” – beauty combined with useful practicality. The goal is simple – give your vehicle better aesthetics and enhanced performance when pushed to the limit.